Each person’s love is special; this is why everybody wants to have a special wedding on their most important day. People want to have beautiful memories both themselves and their wedding guests. The thing that should be done for a unforgettable wedding is to have creative ideas and to be different. If these words affected you, it means our new article is prepared exactly for you! Photobooths are the latest trend in weddings and it provides leaving the boring wedding photos which are taken for hours with all the relatives behind. For instance, for a funnier wedding you may transform a minibus into a photo booth and create a perfect scene for the photos or you can decorate a corner according to your desires and create a creative wedding photo booth corner. Photo booth is not only make your creative ideas come true but also provides you to have the photos immediately. Moreover, if you decide a hash tag for your photos, you may reach yours and your wedding guests photo booth photos with one click afterwards. The most popular two people in a wedding are for sure bride and groom. But we should admit that of course brides are always in the foreground. This is why if bride changes her wedding dress and wears a shorter and funnier dress after marriage ceremony, guests will both surprise and impressed. Your second wedding dress can even be a dress you bought before. If changing your wedding dress idea is not for you, you can make a change with your hair or you can change your shoes or your accessories. If you come to the wedding venue with a bike instead of a wedding car, you can be sure that your guests not only be surprised but also will take lots of pictures with you and your bike. Moreover, both bikes and motorbikes are much more economical. Slide shows are out of fashion nowadays. Moreover, it is not proper for every wedding concept. For example, if your wedding is an outdoor wedding, it may be so hard for you to use a barcovision. Instead of a slide show, you may use a tree to hang your photographs. Yes, it is true, you can sing your first dance song. To have an average voice can be enough for this. You can sing this very special song while looking at your partner’s eyes to tell about your feelings on your wedding day. The only thing you should do for this is having a good sound system and a musician who can lead you well. You can even make rehearsals before. You can be sure that not only your partner but also your wedding guests will enjoy this surprise. You can not have a different wedding with decorations with only vases and colorful flowers. Instead, you can surprise everyone with your extraordinary table decorations. For instance, instead of vases, you may use aquariums with fishes and you can give these aquariums as a gift. You may give flip-flops as a present especially to your woman wedding guests. You can make them feel comfortable with these flip-flops after a while. Everyone knows about the classical wedding dance. It can be either tango or a classical waltz. Instead of these classical dance styles, you can make swingle which is a much more energetic dance style. Your wedding guests will be surprised. The only thing you should do is taking few swing classes. If your marriage ceremony venue and your wedding reception venue is different from each other, you can make transportation funnier. For example you can rent a horse carriage for your wedding guests and provide them to reach the venue with these vehicles. Or you can arrange the yellow buses which we can see in the American movies. Moreover you can create a playlist for them to listen while they are on the way. You can put your initials on the bus. Photo shooting for wedding cards is the new trend for invitations. This photo shoot can be edited by wedding couple and one month before wedding the shooting should be done. Couples can use these photographs on their wedding invitation cards, barcovision slide shows, e-invitations and they can even make a exhibition on their wedding day at their wedding venue. The main purpose of this concept is to announce your wedding date, this is why your wedding date should be seen on photos. Creative ideas for these photo shoots are decided with the wedding couple. 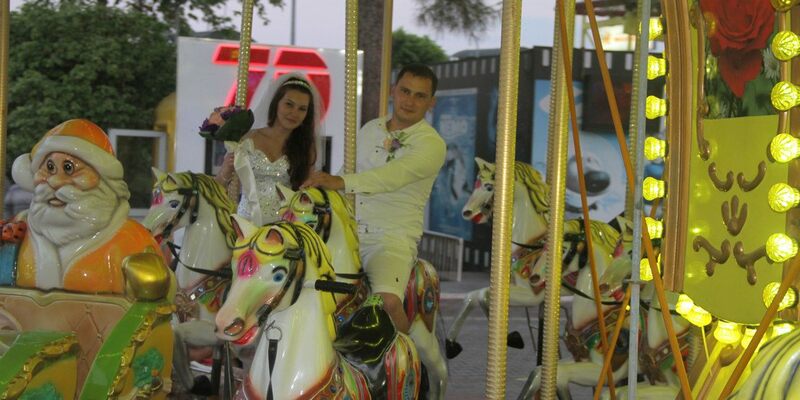 It can be on the beach, at funfair, the place you have met, the place where you made your proposal, at your home, on a hill during sunset or while you are doing your common hobby together. This means the shooting can be anywhere special for you. Please do not forget that you are free to choose shooting venue. Moreover, the clothes you will choose for shooting should be simple. If your wedding will be funny and crazy, you can wear colorful clothes. This invitation cards with photos also will be a perfect gift for your wedding guests and they will remember your wedding anniversary with the date of the photo and remember the beautiful memories.